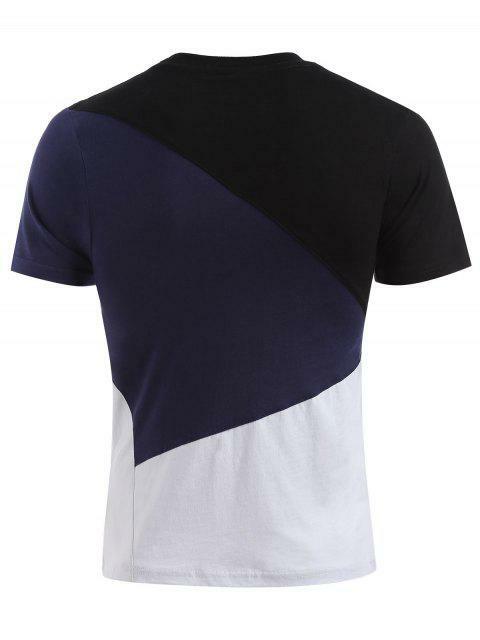 [44% OFF] 2019 Short Sleeves Colorblock Tee In DARK SLATE BLUE | ZAFUL ..
Give your wardrobe full of regular tees and upgrade it with our relaxing fit T-shirts. 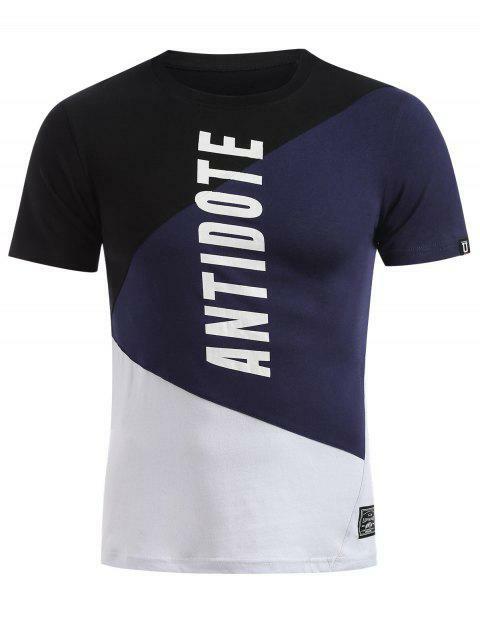 Made to look stylish and unique front others, this tee features a basic crew collar, color block design with ANTIDOTE pattern on the front, and short sleeves. 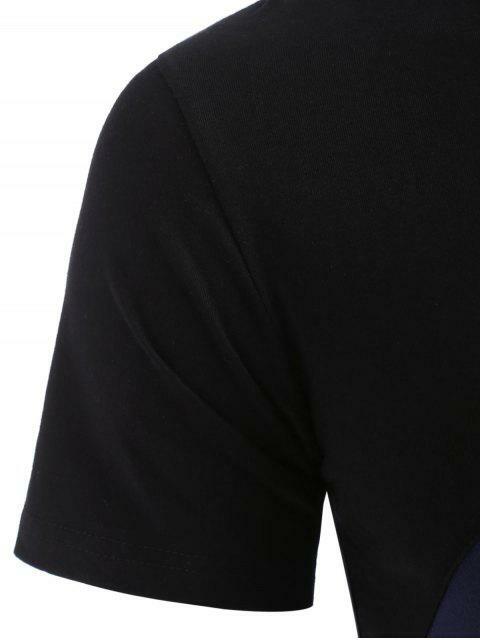 Great to go with jeans and board shoes to look perfect!